Star Cinema’s “Sayo Lamang” and “I Do” failed to enter Blockbuster Status, will “Til My Heartache Ends” sell well? 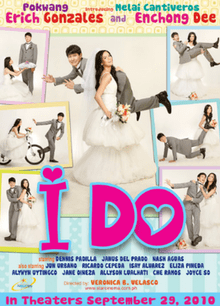 While Enchong Dee and Erich Gonzales launching movie “I Do”, according to Box Office Mojo earns moderately $972,810.00 or P 43,776, 450.00 on its 3rd week run. With this figure, will Star Cinema gives Enchong and Erich another movie project together as love team? 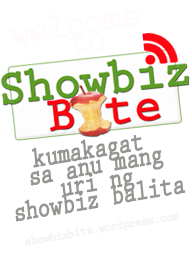 It seemed to be that most of Star Cinema’s flicks this year were not selling well in its audiences. Will Kim Chiu and Gerald Anderson’s “Til My Heartache Ends” be a Blockbuster Hit like JLC and Bea Alonzo’s “I Miss You Like Crazy”? . Watch “Til My Heartache Ends” in over 100 theatres nationwide on October 27, 2010. Vice Ganda’s “Petrang Kabayo” earns 55M in 1 week! According to Box Office Mojo, Vice Ganda’s Launching Movie and remake of Roderick Paulate’s 90’s hit movie “Petrang Kabayo” is kicking high on Box Office sales as it earns a whopping $1,231,752.00 or P 55,428,840.00 on its 1st week run only on over 77 theatres nationwide. And according Mr. Vic Del Rosario of Viva Films, “Petrang Kabayo” has doubled its sales on its 2nd week with P 104M. Congratualations Viva Films, Vice Ganda and the whole Petrang Kabayo Team.